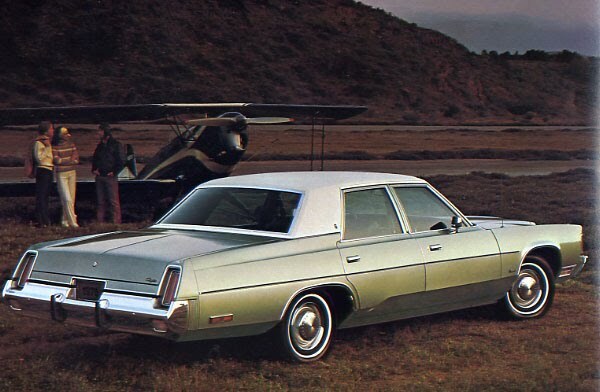 When the 1976 selling season opened, there was surprisingly little that was new on the floor for the Chrysler dealer. The slow-selling Imperial name had garnered only 677 sales last year. Consumers clearly preferred Lincoln, Cadillac and Mercedes to Imperial. Sales of the corporate flagship had languished for some time. In fact, in the past decade Imperial had only once risen above the 1,000 mark in sales. The grand name was retired from the market though the ultra-luxurious two- and four-door hardtops were continued as the Chrysler New Yorker Brougham. Distinguished from lesser kin with an understated split waterfall grille and hidden headlights, the Brougham was a classy vehicle. Claiming that the New Yorker Brougham was “the talk of the town,” the car was certainly sumptuous with its standard crushed velour upholstery or optional genuine, rich Corinthian leather seats. The “thickly woven shag carpeting covers layer on layer of sound insulation padding.” A car this refined did not carry mere passengers—human occupants were elevated to the level of “guests” who would enjoy standard rear-seat reading lamps. Lavaliere straps and built-in foam pillows were nice touches. A swanky, extra-cost St. Regis package could be had to gild the New Yorker Brougham lily. The optional items in the ensemble included a pair of dressy opera windows and a padded canopy vinyl roof finished in a simulated boar’s skin grain. The St. Regis package was offered in eight standard colours plus a unique silver for the vinyl roof. The Chrysler name was magic. Sales totaled 5,518 units for calendar year 1976 up by 1,784 units over the previous year when the car was an Imperial. Under the hood of the biggest New Yorker was the massive 440-cubic inch V-8 engine, happily married to Chrysler’s tried-and-true TorqueFlite automatic transmission. The base cloth-and-vinyl interior with fixed bench seat and a centre armrest was attractive. Even in the lowest-price Chrysler, full volume foam seats were attached directly to the seat frame, eliminating spring elements. The Castilian cloth-and-vinyl upholstery was mod and colourful. “Luxury interiors, convenience features, and roomy interiors of the two-door hardtop, four-door hardtop, or four-door sedan let you relax and enjoy the ride.” Sales of Newport were 19,719 units for the 1975 calendar year. That dropped to 17,963 units for 1976. Then there was the opulant Chrysler Town & Country. 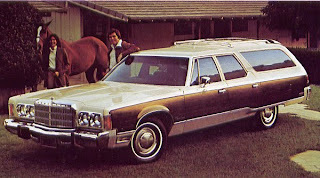 The refined station wagon turned heads whenever it pulled into view. It claimed to be an “efficient worker by day and “sleek glamour star by night.” Not only was it elegantly styled and appointed for comfort, it boasted a cavernous 100.8 cubic feet of cargo space. Rugged all-vinyl upholstery and loop pile carpet spoke of comfort, yet there was enough room to lay a 4 x 8 sheet of plywood flat in the cargo area. Being Chrysler, there were oodles of options for the asking. Just to name a few, there were the Auto Temp II Air Conditioner, tinted glass, automatic height control, Auto-Speed Control, an ordinary electric or electronic digital clock, cornering lights, an electric deck-lid release, an electric rear window defroster, a sure-grip differential, an engine block heater, a fuel pacer, a locking gas cap, luggage racks and assist handles, power door locks, power six-way seats, power windows, sunroof, power radio antenna, many different radio and stereo system, Tilt-&-Tel steering wheel. One could add all kinds of dress up and decor items from wheel skirts to custom road wheels and door-edge protectors. Colours for the big Chryslers ranged the rainbow: Silver Cloud Metallic, Platinum Metallic, Powder Blue, Astral Blue Metallic, Starlight Blue Metallic, Vintage Red Metallic, Bittersweet Metallic, Jade Green Metallic, Deep Sherwood Metallic, Sahara Beige, Saddle Tan, Moondust Metallic, Dark Chestnut Metallic, Golden Fawn, Inca gold Metallic, Spanish Gold Metallic, Spinnaker White and Formal Black. The most valuable jewel in the Chrysler crown was the new, downsized Cordoba, introduced last year. 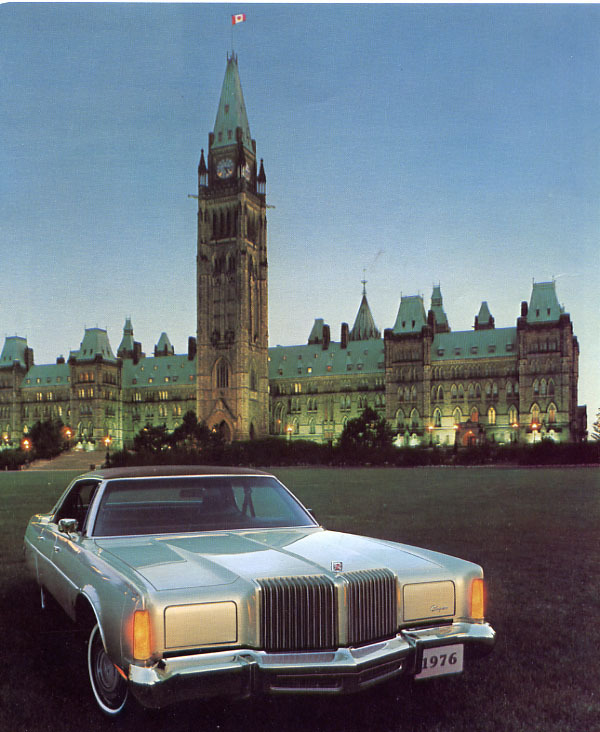 Built in Windsor, Ontario, the personal luxury car was an extremely strong performer in 1976 with 19,378 units delivered domestically during the calendar year. That was even better than the 18,587 units sold in 1975. The Cordoba story is a good one for another day. With sales of popular smaller cars like Plymouth Volare, Dodge Aspen and the Chrysler Cordoba, Chrysler Canada, Limited was doing very well in the market place. The Windsor, Ontario-based manufacturer overtook Ford as the nation’s second largest automaker. 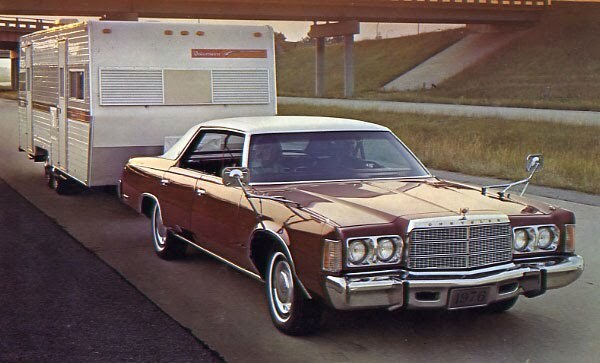 Still the increase in Canada wasn’t enough to keep Chrysler's American parent out of trouble. As Chrysler Corporation skidded toward bankruptcy, the Canadian subsidiary decided to secure its corporate tomorrow by going to Ottawa for loan guarantees of more than $200 million.